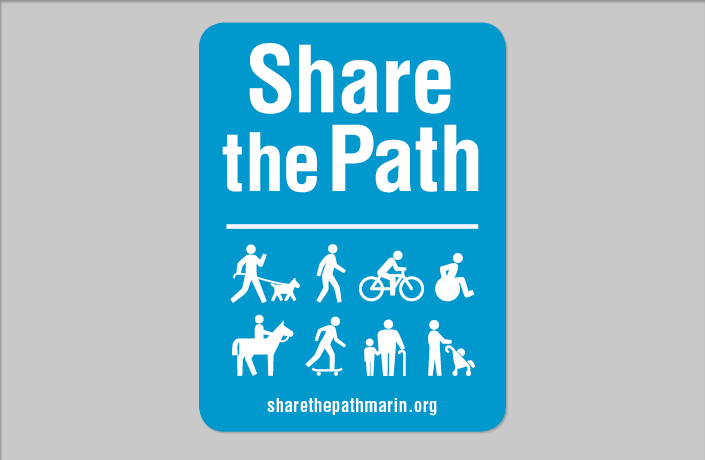 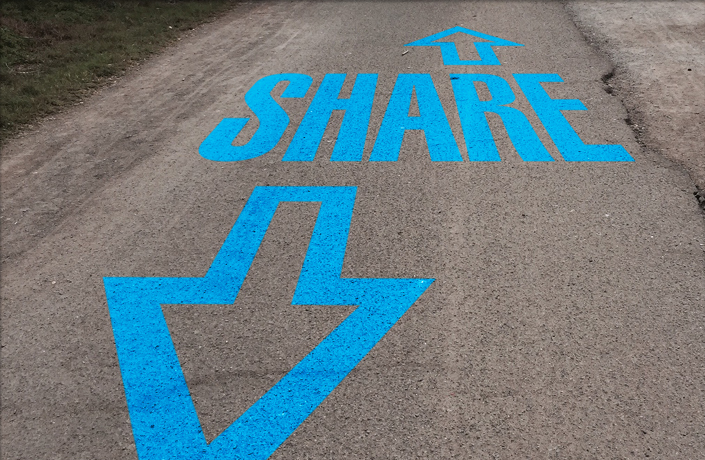 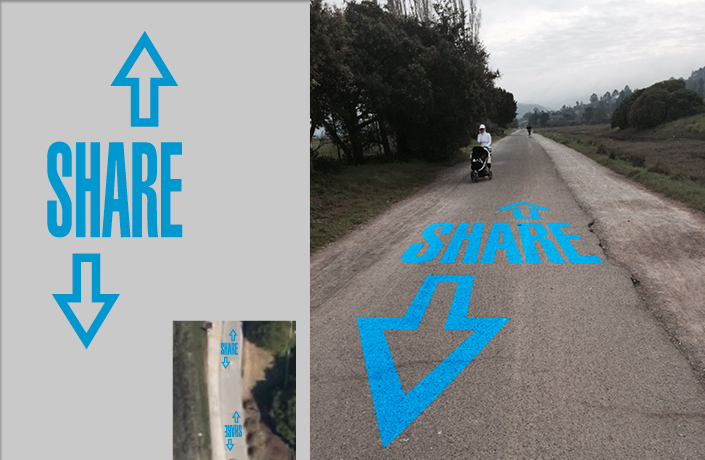 Share the Path was initiated by a partnership between the County of Marin, City of Mill Valley, and the Marin County Bicycle Coalition in response to a serious accident on the Mill Valley/Sausalito Multiuse Pathway in September 2014. 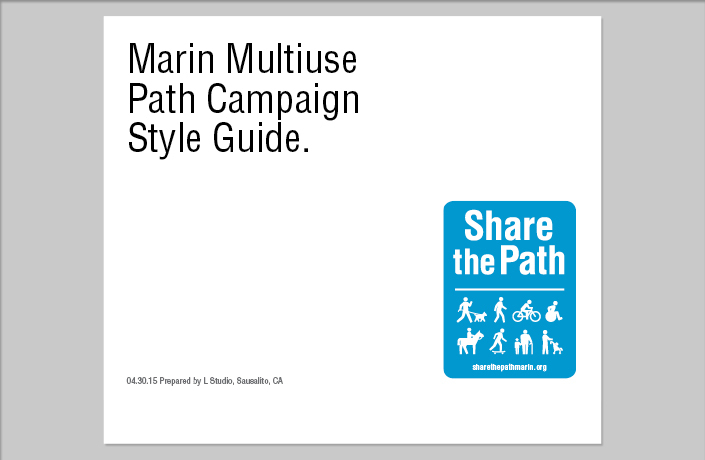 The campaign aims to improve awareness, safety, access, and enjoyment for users of multiuse pathways across Marin County. 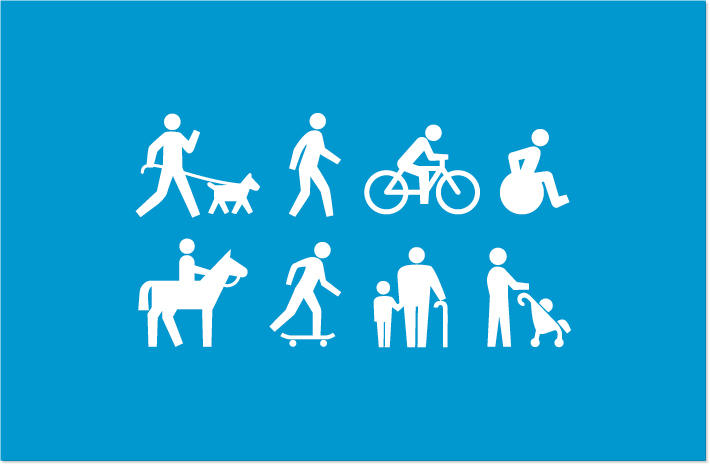 Pictograms are divided into two categories: etiquette and user groups. 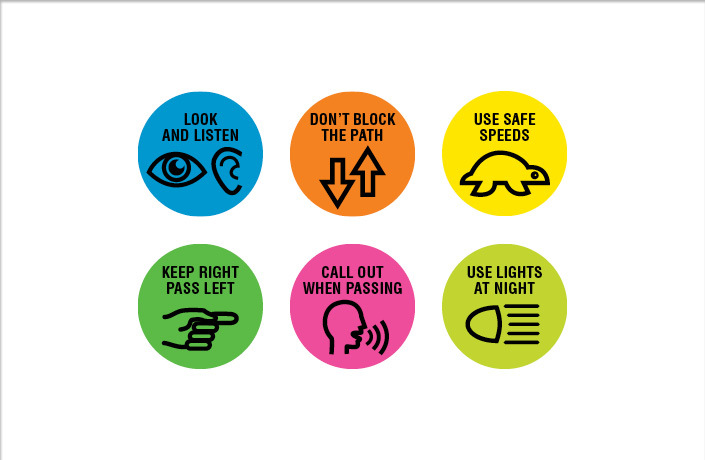 Etiquette pictograms represent behaviors and general safety concepts. 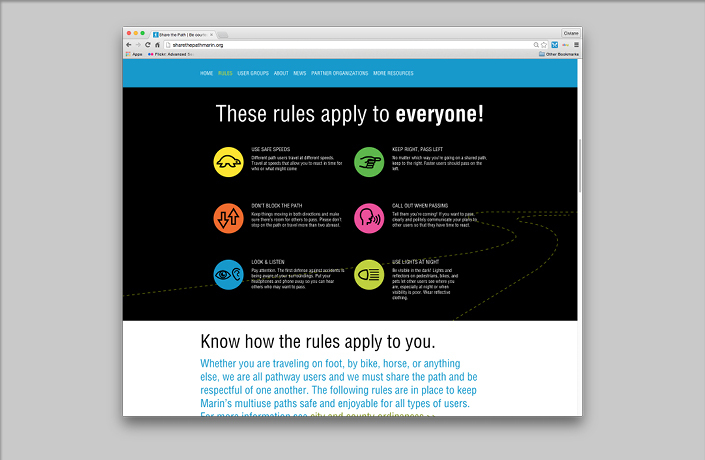 User group pictograms represent rules for specific user groups. 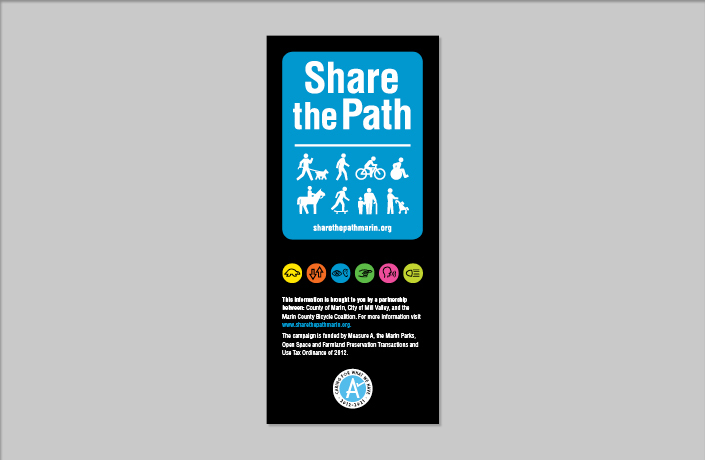 Path signage created includes temporary round signs, a permanent sign, banners, and posters. 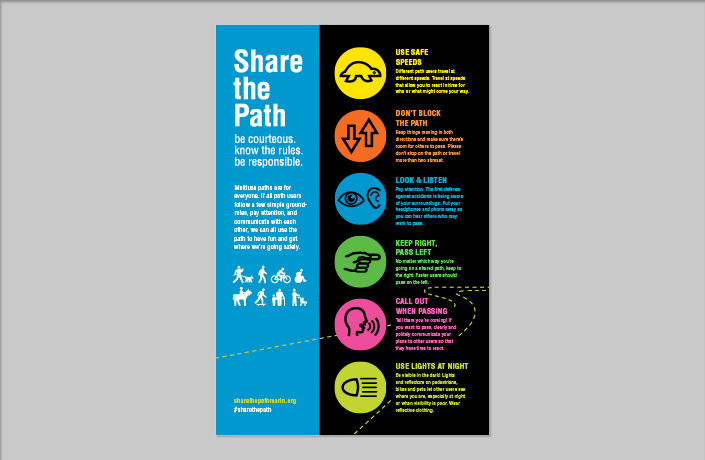 A pathway graphic with arrows pointing in both directions reminds pathway users to share the path and directs the flow in two directions. 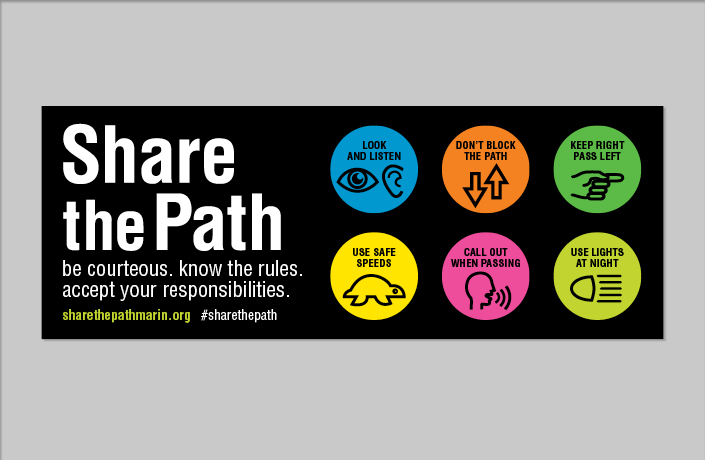 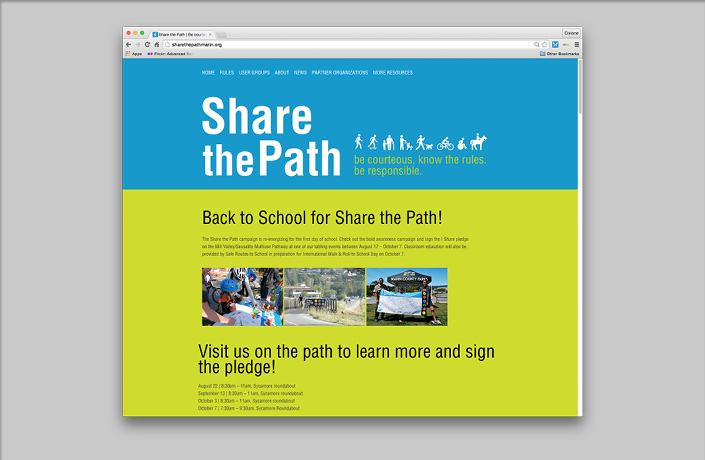 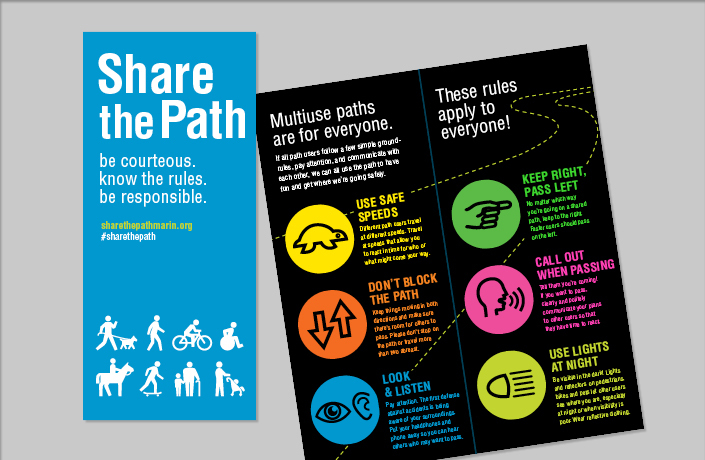 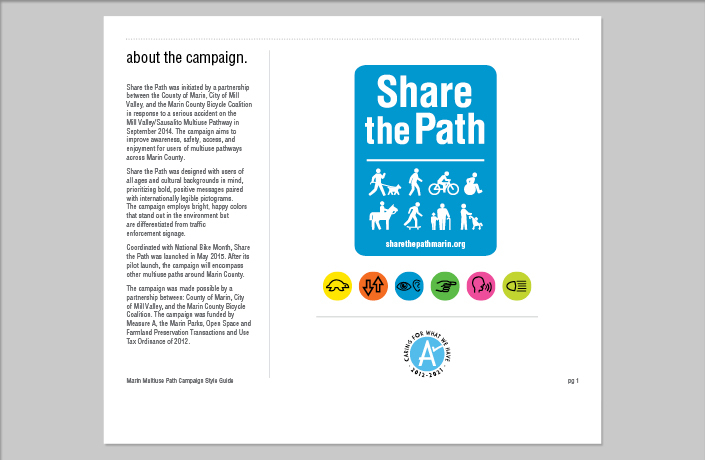 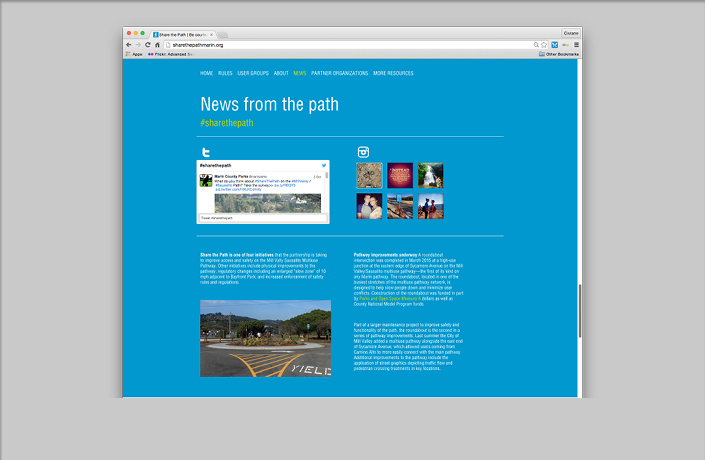 The brochure provides detailed information about the Share the Path campaign. 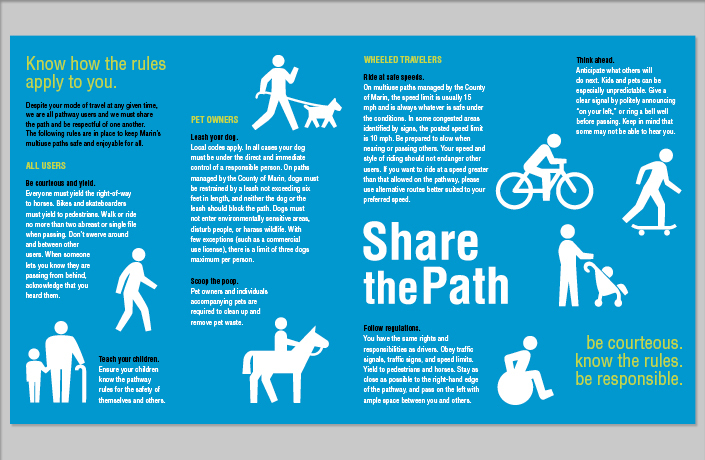 It lists general path etiquette and outlines rules for specific user groups. 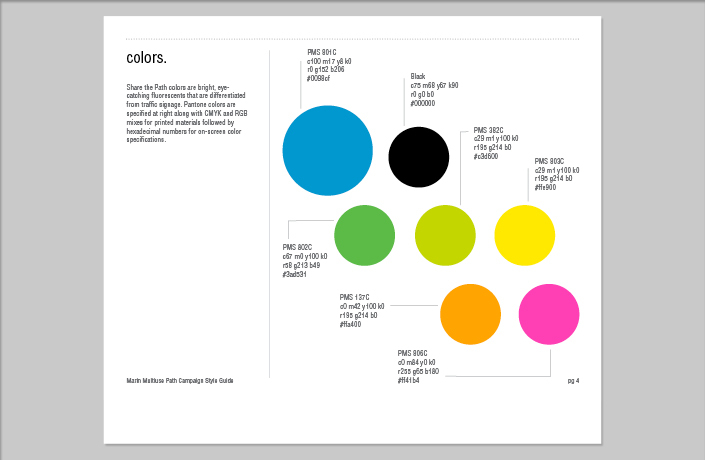 A brand style guide outlines the proper usage of the logo, pictograms, fonts and colors, and provides detailed information on the campaign signage and materials.